Hey Everyone! 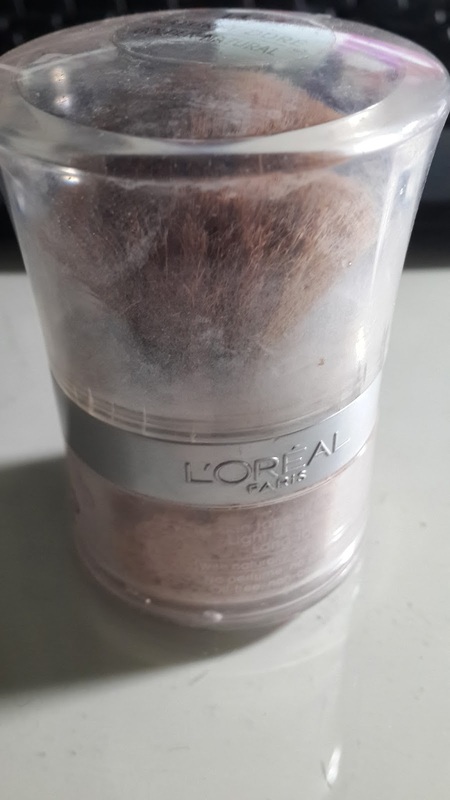 Going to review a product that I've purchased a long while back, it's the L'oreal Paris True Match Minerals Foundation. My container is getting worn out now, because somehow i keep dropping it -.- At least it tells me that the container, isn't all that durable. But it is neat and easy to hold. The packaging comes with a brush, making it much more easier to apply than having to find a brush (or so i thought). 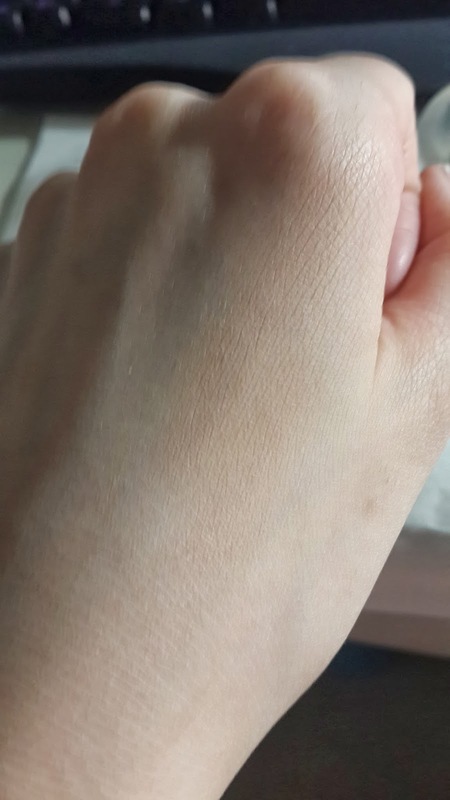 The colour i have here is the W4 Golden Natural, which is actually a darker shade for my skin tone and it actually makes my skin a slighter shade of orange. L'oreal Paris claims that the product is free from oil and fragrance and contains SPF 15. 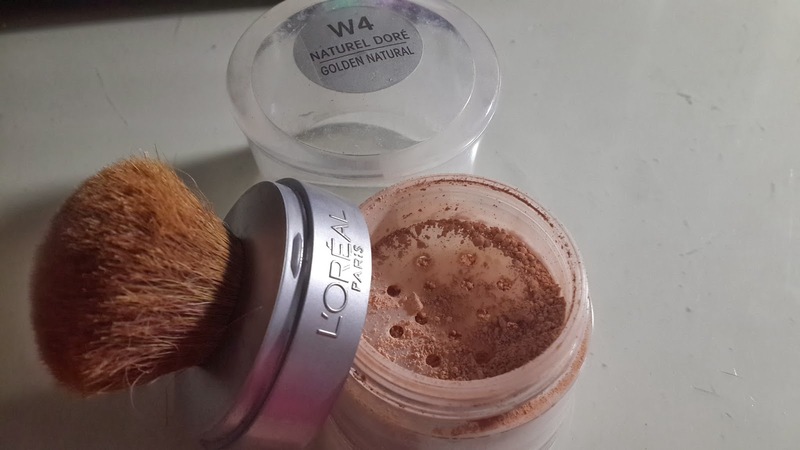 When i first purchased the product, i used the brush provided and found that it was a decent way of applying the powder, however coverage was minimal. 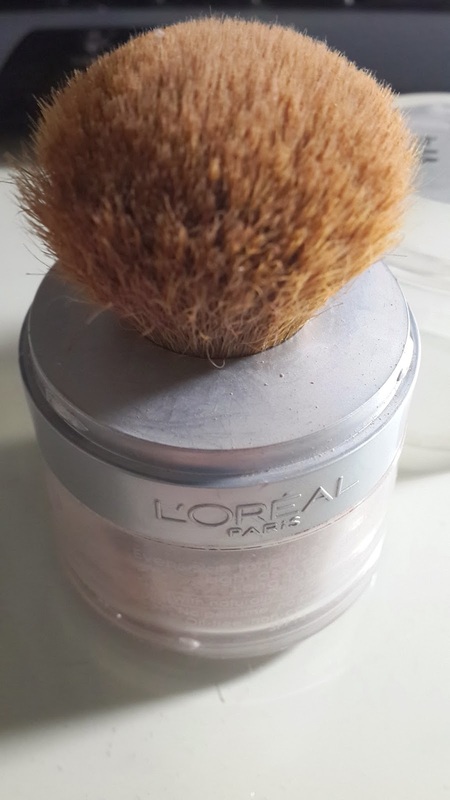 After some time, the brush felt more hard and prickly and made applying the foundation much more difficult, and the problem about the lack of coverage remained. As shown above, i decided to opened the container instead and use my own brush. I definitely found that it gave me much more coverage! However, this product was quite expensive, i think i got it for around $32AU. The brush wasn't that good and the colour was a bit off my skin colour. 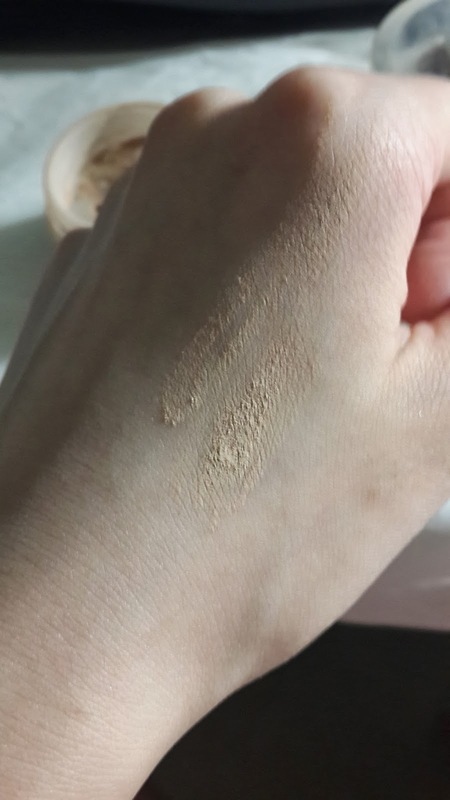 The powder isn't light at all, it felt more clumpy and heavy for me. When applied, the shade was darker than my skin tone. At the moment, i use this product more for highlighting the cheek bone area as it gives me a darker complexion. Will i purchase again: Nope. Despite that the colour seemed to dark for me, the brush wasn't as good as expected. Opening the container made the powder fall everywhere and i always had to be careful with it, or else i would just make a huge mess. ~.~ I also prefer a lighter powder.